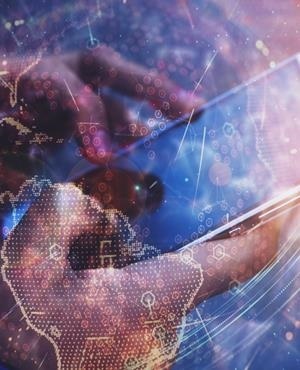 The Information Regulator of South Africa has requested an explanation from Liberty Holdings [JSE:LBH] about the data breach, chairperson of the Information Regulator Advocate Pansy Tlakula told Fin24. Tlakula confirmed that no complaint about the hacking of confidential emails between Liberty and clients has yet been laid. The financial services company is working with authorities to determine the extent and who is responsible for accessing their email repository and using the information to try and extort money from the firm. In a statement, the Information Regulator said it was seeking information from Liberty’s CEO David Munro about how the breach occurred, the extent of the leak, the interim measures that that were being put in place, the security processes to prevent another attack and the steps taken by the firm to inform clients about the loss of their data. The Information Regulator is a relatively new institution, having started its work in December 2016. It was created under the Protection of Personal Information Act (POPI Act) and has extensive powers to investigate and fine responsible parties. Not all the provisions of the POPI Act have come into effect yet, but the regulator says that it "has consistently encouraged private and public bodies to proactively comply with the Act", which according to Section 19 requires responsible parties to "put in place measures to secure the integrity and confidentiality of personal information in its possession or under its control". According to the regulator, the number of data breaches is increasing, and the office needs to become fully operational. "South Africa has experienced a disturbingly high number of material data breaches in the past few months. In addition to Liberty Holdings, there have been material data breaches at Master Deeds, Facebook and ViewFine". The regulator asked that the "powers-that-be [...] assist it in fast-tracking its operationalisation." Liberty spokesperson Sydney Mbhele said that it would be normal for any regulator to seek information about the data breach. He added that no clients had been affected by the hack, and the company would advise clients individually if their information was impacted. Liberty's share price was down 4.01% to R119.03 at 16:05 on Monday, and parent company, the Standard Bank Group's [JSE:SBK] share price slid 2.9% to R191.39.